The festive season is one of the most amazing time of the year, but it's also a super busy one where we can forget the most important thing.. to look after ourselves. It doesn't help that it's also a time to over indulge in all the delicious foods (my favourite), so our bodies can feel and look worn down easily. That's why it's essential to make sure you schedule in some vital 'me time' even if it's just a short pamper evening. When I luckily received a fabulous package from Catalyst PR* through the lovely Laura, I immediately set out to make sure I took some time out of my day for a well deserved pampering session. The team had packed in everything I needed and more, for giving my skin, hair, nails & body some much needed TLC. There's loads of new brands that I've been testing out, so I thought I would talk you through my pampering routine including the products that stood out to me the most. Firstly I believe it's important to set the atmosphere in your home when you are taking a break from day to day life. Something that will help you feel relaxed and at ease, such as calming music, candles or even books are perfect. For my festive pampering evening I have the most gorgeously scented candle from The English Soap Company. 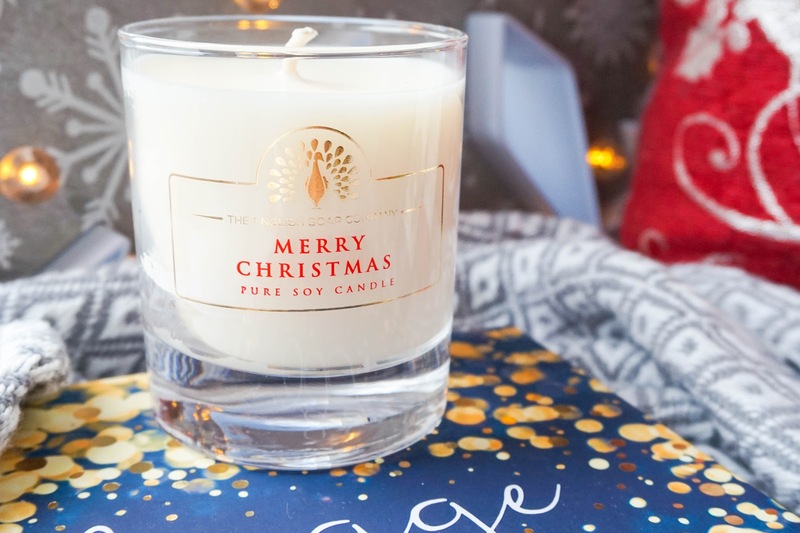 This pure soy candle has 'a beautifully crafted Christmas scent, combining traditional festive fragrance notes with a soft undertone of winter flowers & Christmas greenery'.. it really is the perfect festive scent, not too overpowering and not cinnamon based either (so huge thumbs up from me). The scent of a candle like this helps me to feel more at home and relaxed whilst I stop worrying about everyday life and just focus on myself. I'll then start off my routine by giving my hands some much needed love, because this is actually one of things I get to do very rarely. I just never seem to have enough time in the day to clean up or paint my nails lately. Not to mention that it's one of the things on my daily to do lists that gets pushed to the bottom and moved on to the next day, until I'm totally embarrassed by how badly they look. The current duo I have here, is amazing for nurturing my dry hands. The Nail HQ Cuticle Oil is great at helping to moisturise and condition the cuticle area and the nails too. 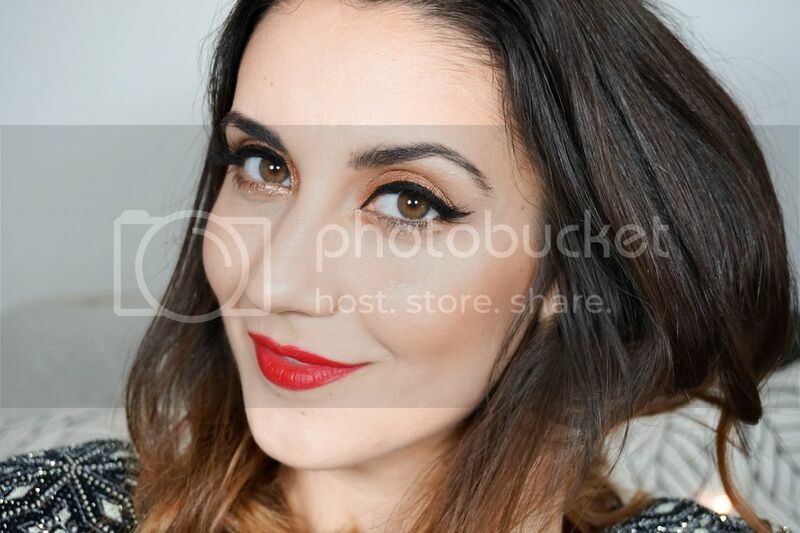 The formula doesn't feel greasy in the slightest yet it's really nourishing. It contains main ingredients such as Jojoba Oil, Apricot Kernel Oil & Beta-Carotene as well as Vitamins E, A, and D3.. which are all fantastic for revitalising and restoring skin moisture to prevent it from cracking and peeling (something I usually suffer with). 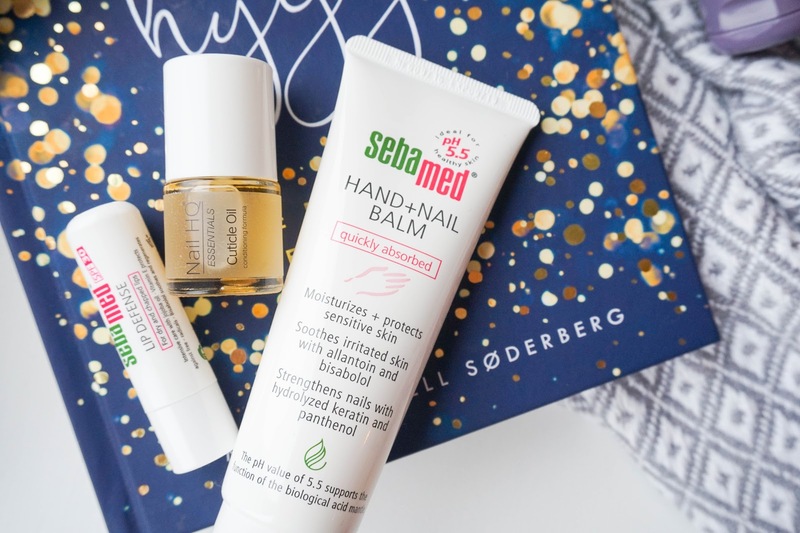 The other part of this duo is the Sebamed Hand and Nail Balm, which is formulated with a pH 5.5 so it's perfect for keeping skin soft & hands well groomed. It's really effective at moisturising my hands and preventing any kind of irritation. The main ingredients Bisabolol and Panthenol calm the skin, whilst Allantoin regenerates rough, chapped hands. It also restores the elasticity of the nails, so they won't break as easily. I've popped this in my hand bag as it absorbs into my skin super quickly, so perfect for on the go. I then like to make sure I dedicate some time for my hair, as again it's one of those tasks that I rarely get around to. 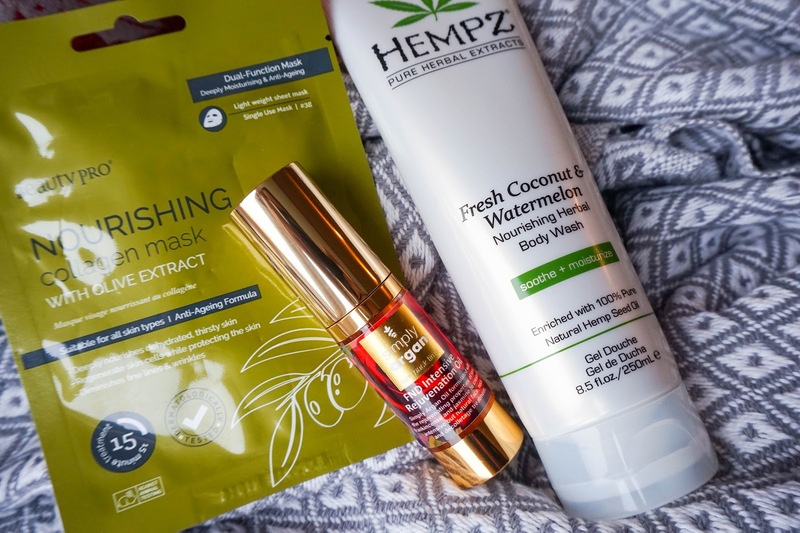 At the moment I am making sure to use masks on a regular basis, as well as purple shampoo for keeping brassiness away. I was quite intrigued when I came across the Unwash Rethink Clean Kit, as it's a new approach to caring for hair. The brand recommend to use the Bio-Cleansing Conditioner daily or regularly to gently cleanse (so no shampoo here). Then the Anti-Residue Cleanse is best used on a weekly basis hair feels limp or weighed down. Lastly the Hydrating Masque should be used to restore moisture balance after you have used the Anti-Residue Cleanse. I have to say I've been pleasantly surprised using this trio, who knew you didn't actually need shampoo to have clean hair. This Cationic Cleansing method removes unwanted dirt without stripping hair of natural oils and it actually works amazingly well too. The best part about the brand is that it doesn't use harsh chemicals and it's paraben-free so it's safe for color-treated hair too. I love the scent of the products and how soft my hair feels (I might just be a converter to this new hair caring system). Then I focus my attention on the face and body, making sure I moisturise, moisturise and moisturise some more (yup my skin is just that dry this time of the year). As well as using body creams and butters, the kind of shower gel you use also matters. You want to make sure you use products that will leave your skin feeling clean and refreshed without stopping away moisture.. so the Hempz Fresh Coconut & Watermelon Nourishing Herbal Body Wash is great for doing just that. Firstly it smells amazing, such a pleasant fruity scent without being overpowering. Secondly it really is nourishing like the name suggests, as it contains 100% Pure Natural Hemp Seed Oil, Shea Butter, Vitamins A, C and E amongst other beneficial ingredients. These all help to renew and revive skin, keeping it looking healthy and feeling hydrated. It doesn't lather up like other body washes, but then again that's why it's so moisturising so I don't mind too much. I will then make sure to apply a face mask, sometime two if I need a deep cleanse as well as a good dose of hydration. Most of the time however it's the latter so here I have the BeautyPro Rejuvenating Collagen Sheet Mask with Green Tea, a powerful anti-oxidant and anti-bacterial ingredient. I don't usually opt for masks that target problematic skin but after all the food indulgences my skin definitely needs some balancing out. This not only helped to calm the skin, but also provided my face with a great dose of hydration leaving it feeling soft and plump. The science behind these masks is using marine collagen, combined with key vitamins, herbs and botanicals to improve skin tone and complexion. I also found this quite easy to apply, without dripping product everywhere and not to mention that it actually fitted quite well on my face too (usually I struggle to position sheet masks well as some of the ones I've tried are quite large). Once 15-20 minutes are up, you can remove the mask without needing to rinse your skin. I usually massage any excess serum into my skin and once it's all absorbed I will use a facial oil on top. I have a couple of facial oils that I use in my skincare routine regularly but at the moment I am mostly using the Simply Argan FND Intensive Rejuvenation Oil (by the way FND stands for face, neck and décolletage, which I had no idea about until I did some research). For this product the original Simply Argan Oil has been formulated with rose, frankincense and jasmine to create a more intensive skin treatment known for anti-wrinkle properties. Rose oil is fantastic for dry, sensitive and ageing skin. Frankincense is know as a tonic on ageing skin, helping to reverse the appearance of wrinkles. Jasmine can increase elasticity, whilst improving moisture. So these three essential oils have some amazing benefits for the skin and combined with organ oil, they really do form a winning product. The ingredients used are pure, organic and natural that guarantee very high quality. I am loving this oil at the moment and find myself reaching for it more so than the other options I have sitting in my bathroom cabinet. Even though a little bit goes a long way, I will be sad finishing this 15ml bottle. Lastly it's all about dedicating time to do my makeup, which isn't exactly part of my evening pampering routine but something that I have to focus more on. I am actually struggling in my weekly routine to find the time to apply makeup properly when I have such early starts to my days. So I always try to make sure that once in a while I take some time out to really enjoy using new/old products and apply my makeup with more care. Since getting my hands on some new brushes from So Eco and Look Good Feel Better, I've definitely wanted to make sure I was using more detail in applying my makeup. The brushes are beautifully designed and well made, so it's a pleasure to use them in my routine. 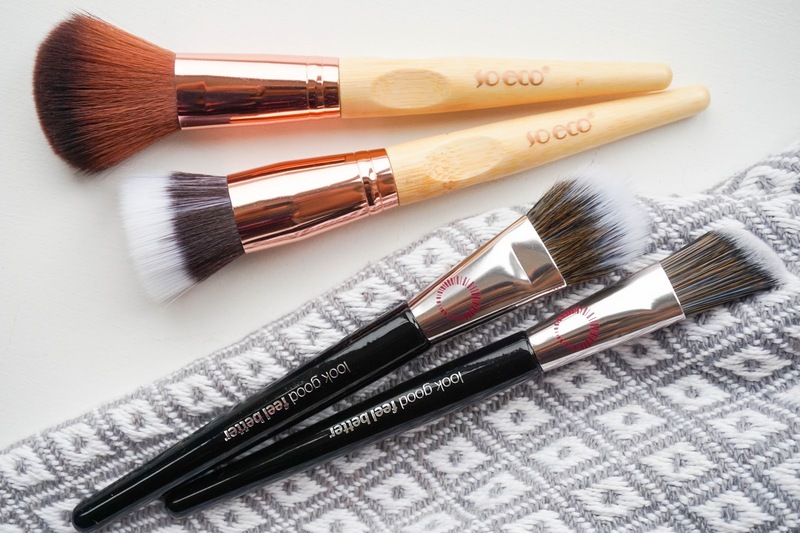 The SoEco brushes not only look beautiful with the rose gold detailing, but they are made in an eco friendly way also with emphasis on using component that at 100% responsibly and ethically used. 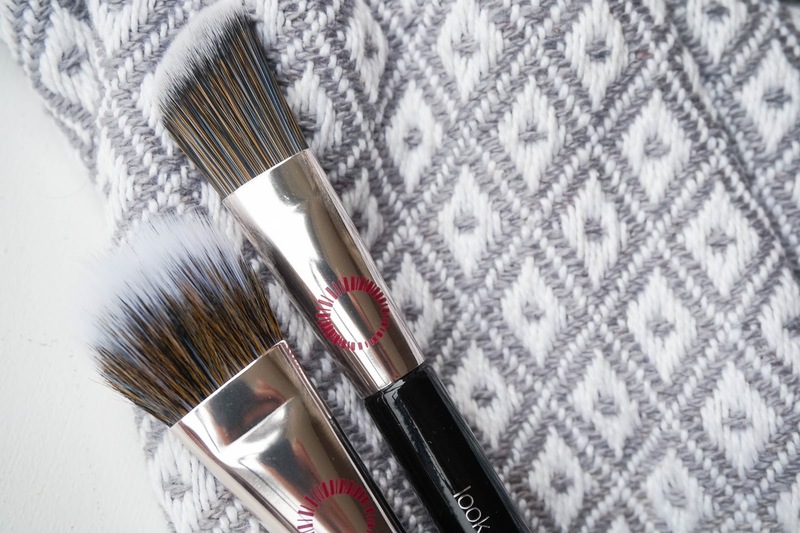 The Bamboo handles are sourced using recycled aluminium ferrules, whilst the bristles are taklon and cruelty free. 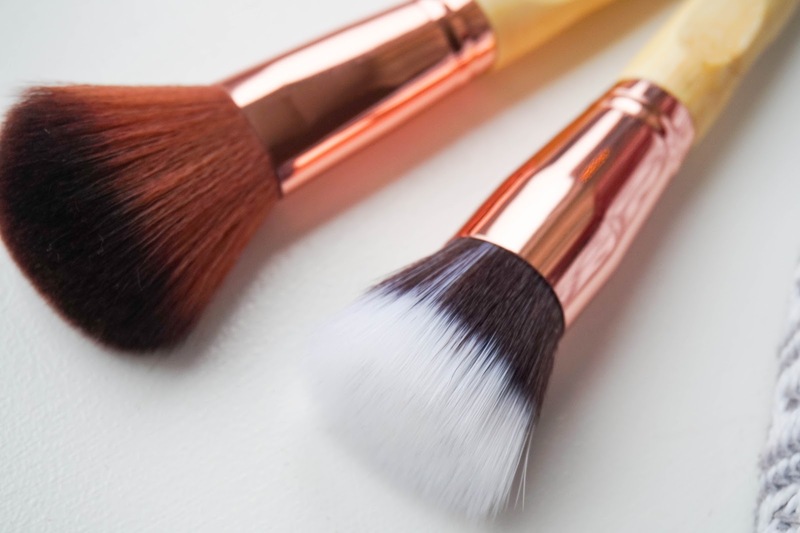 The blush brush here is definitely my favourite of the two as it's such a great multitasking brush.. I have been able to use it not only for applying blush, but for powder and bronzer too. 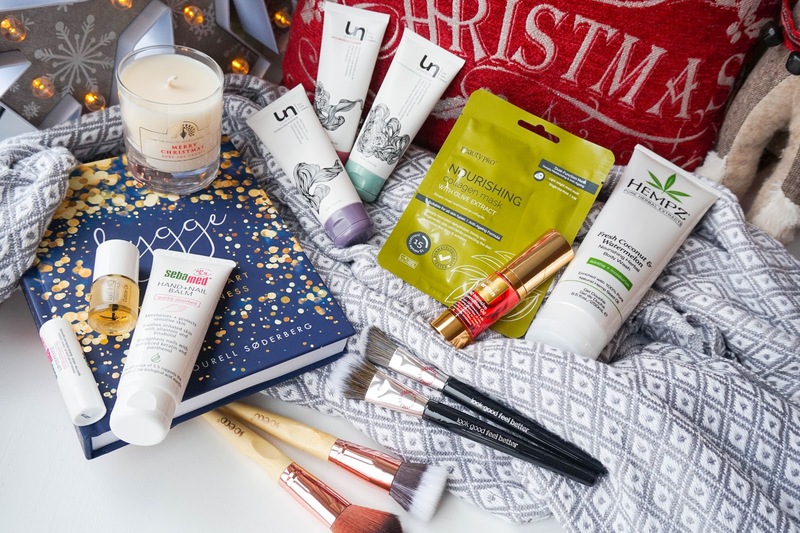 The other brushes are from Look Good Feel Better, which is the only worldwide cancer support charity that provides practical support for women struggling with the side effects of cancer treatment. So not only are you buying great quality brushes, but you are also supporting an amazing charity. After reading up on all the great work this charity does, I definitely want to work my way through picking up all the brushes available in order to show my support. I love the Stippling Foundation Brush from the duo I have here, it feels super soft and it actually does a great job at applying light bases such as tinted moisturisers. I definitely recommend you check out the brand and support it if you can, trust me you won't regret it. So I'm finally at the end of my very lengthy post, thank you for sticking around all the way to the end. As you can see there's some great products from fantastic brands, which make 'me time' that bit more enjoyable. Before I end the post I quickly wanted to wish you all lovely bunch a very Happy New Year! Let's leave the past year behind and focus on making 2017 the best one yet..